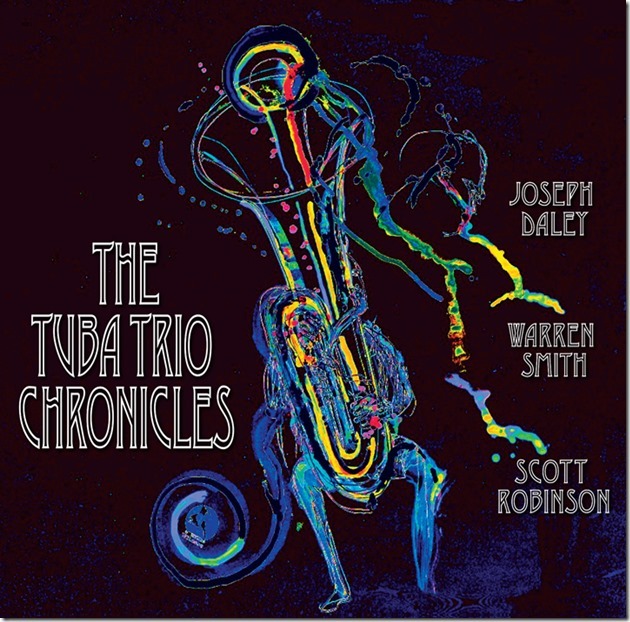 Joseph Daley dedicates "The Tuba Trio Chronicles" to the memory of his good friend and mentor, Sam Rivers, with whom he played in the Rivbea Tuba Trio along with Barry Altschul. Daley is heard on this on tuba and euphonium and joined by Warren Smith, heard on a drum set, bass marimba, marimba and a variety of percussion instruments, and Scott Robinson on a variety of reeds including tenor sax, bass sax, a jazzophone, contra alto clarinet and Theremin. As evident from the opening "Interplay" which Daley describes as "An exploration into the intervallic melodic concepts of Sam Rivers …" which underlies improvisations by Daley on Euphonium (and he displays remarkable facility on this) and Robinson on tenor. "Modality" is centered on a modal line as a theme for the three with Daley on tuba, Robinson on bass sax and Smith adding bass marimba accents with remarkable interaction between Daley and Robinson. For "Emergence," Smith is on tympani, gongs, bass drum and Chinese cymbal, Daley on Euphonium while Robinson is on the sour sounding contrabass sarrusophone and the jazzophone (the latter a trumpet sounding instrument) and the feel of the performance is akin to some Art Ensemble of Chicago performances. "Sonorous" is a similar open improvisation vehicle with Robinson's bass sax replacing the sarrusophone and Daley on tuba including playing it with a mute. These performances are like abstract painting with sound as opposed to colors with bit of melody mixing with the tuba's bass lines and the rhythmic accents of gongs and other percussion. Daley prepared sound textures for 'Terrarium," the longest performance with Smith's marimba adding to his instruments while Robinson in on bass flute, theremin, waterphone and contra alto clarinet on a performance that sounds like a soundtrack to an experimental film and at other times a spellbinding musical kaleidoscope. A lovely rendition of Sam Rivers' "Beatrice" is the only composition that Daley did not write with Smith's vibraphone adding a nice flavor here. The closing "Proclamation" is similar in concept to the opening "Interplay," allowing for some remarkable improvisational segments on tuba and bass sax along with the counterpoint they exhibit at times. Daley, who is exceptional throughout, is remarkable on tuba here. "The Tuba Trio Chronicles" is an exceptional release of challenging jazz that may not be for those with traditional tastes. I received a review copy from a publicist. This review originally appeared in the January-February Jazz & Blues Report (Issue 364).